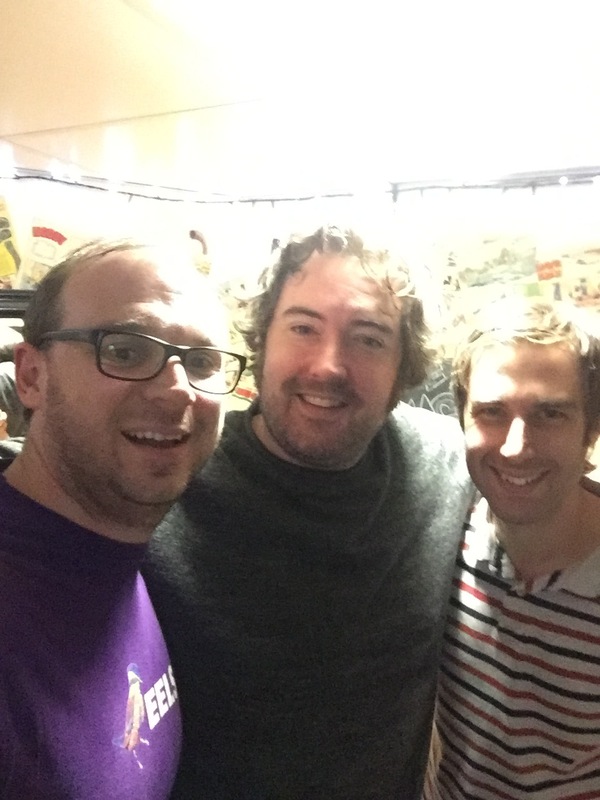 This week we’re in the green room at the Stand in Newcastle with comedian, musician and actor, Nick Helm where we discuss song writing for TV shows, cramming detail into short songs, and how to start the song writing process. The wonderfully pleasant Nick Helm. We clearly left our lighting rig at home for this photo. He may portray a certain persona on stage, however we met the compassionate (shh, don’t tell!) and interesting personality that sits behind the act. This was a really interesting take on how song writing can differ when approaching it from a comedic angle, as well as there being many similarities. Nick talked of how the life of a musician and comedian have many overlaps, which made this a great shout by Ben to get Nick on the show. The good cause this week is Shelter, supporting those who sleep rough. As Nick rightfully put it, we need to show a bit more compassion for one another. Links as always below. Nick's website - Live dates, store, videos, and an either wonderful or disturbing 'man candy' section can be found here. Steve Coogan’s: The Man Who Thinks He’s It - A fantastic comedy performance that Nick mentioned. An Amazon link can be found here. Shelter - The website for this week's good cause can be found here.